We’re getting to the point in the year when we can safely pull our vehicles out of winter storage, particularly the sports cars that we leave under a tarp when it gets cold out. There are right and wrong ways to go about removing your vehicle from storage, and this all relates to the care you take before winter arrives. Here are 5 tips for taking your car out of winter storage, from your friends at Hesser Toyota. 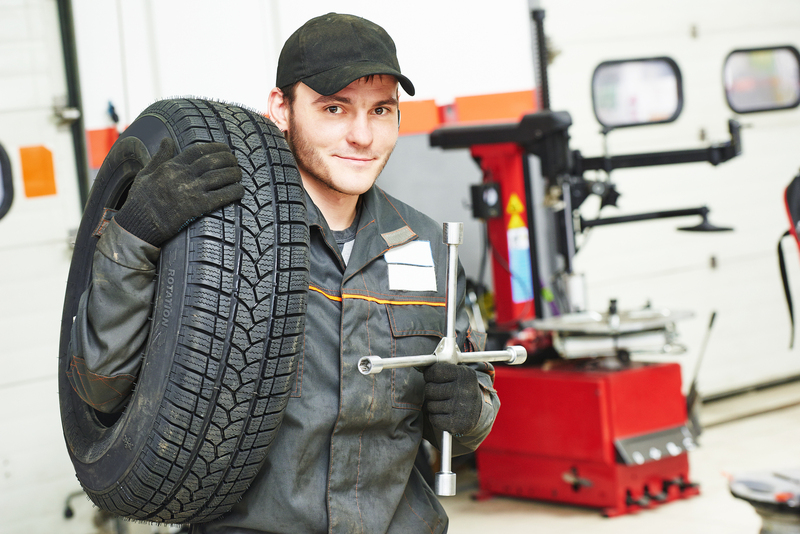 As you’re likely aware, your tires can be adversely affected by the colder weather. Specifically, the cold temperatures can make your tire pressure drop, which can make for dangerous driving conditions. Check the inside of your driver’s-side doorjamb to see the prescribed PSI, and fill your tires accordingly. Also check for any cracks, bulges or gauges in the rubber. Before you take your car on the road, it’s crucial to look in the engine bay and under the vehicle for potential leaks. Additionally, look at your vehicle’s electrical wires and hoses, just to check if there have been any signs of cracks or damage. Read More: When Should You Change Brake Pads? First, you’ll want to take a dipstick and see if any oil needs to be added, and if your oil is old, it should be changed as soon as possible. As you probably know, a fresh change of oil will make your engine more likely to remain healthy in the future. All fluid levels should be checked prior to taking your car out, including coolant, power steering fluid, brake fluid, and fuel. If you’ve had old fuel in your tank over the winter months, it’s a good idea to add an octane booster and high-octane gas immediately, since it will keep your car from rough running. Before putting your vehicle away for the winter, it’s a good idea to put your battery on a maintainer to keep it fully charged. If the battery isn’t fully charged, re-up its charge before you take your car out for its first drive in months. Also, check the cables and terminals for corrosion, and clear away any debris that has accumulated. Is your vehicle ready for the coming months after being in storage over the winter? If not, we can also help get your vehicle ready for the summer travel season. Visit us at Hesser Toyota to schedule your appointment for spring auto service! This entry was posted on Tuesday, April 18th, 2017 at 4:51 pm	and is filed under Seasonal, Service. You can follow any responses to this entry through the RSS 2.0 feed. You can skip to the end and leave a response. Pinging is currently not allowed. A motorist has to know the steps that he needs to follow before bring his speed machine out of winter storage. Taking the convertible out of winter storage is all about preparing the vehicle for the spring season. The operative has to check the fluids, inspect under the hood, replace the tires, check the battery, check the spark plug and electrical connections, and replace the windshield in order to make his intermediary road-worthy for spring driving. Spring car care is a five-finger exercise for an automotive expert. But it is a demanding job for a fresher like me. That’s why I used to hire a professional while doing the seasonal maintenance errands of my Mini. Great Post! I appreciate your suggestion to inspect the condition of different components of the vehicle to identify and repair mechanical issues developed in the concerned components during the storage. Apart from this, fluids used in the vehicle for the various purpose including the coolant should be inspected and if necessary should be replaced. The condition of the battery also needs to be inspected and if the battery is too weak, then replacement of the battery is very essential to ensure continuous power supply to the vehicle. Thanks for the advice to check not only if the engine oil is old but also the car’s coolant, power steering fluid, brake fluid, and fuel. Speaking of car inspections, another important part of the car is its air conditioning system. Taking care of this will not only ensure a smooth drive but also keep the health of the driver and passengers in check as well. In my point of view, the battery should be disconnected prior to store a vehicle. Following an inappropriate storage procedure could affect different components of the vehicle in a very adverse way. So, a quick inspection is really essential prior to the storage of a vehicle and such kinds of inspection should be conducted by experienced professionals. Such professionals could provide better guidance for the storage of the vehicle in a proper way.